As we kick off 2019, many people have included as part of their New Year’s Resolutions: to make more money. Now if you’re one of those people, have you asked yourself: How do I go about making more money? Let me ask you this: Do have a side hustle? Do you have multiple steams of income? Do you have a hobby or a passion that you’ve always felt could turn into a small business? Most people work 9 to 5 jobs and have little time to do much else, let alone have time to turn your passions or hobbies into a side hustle. My guest on this episode, Eric Rosenberg, was one of those people who started his career like everyone else. He went to business school, graduated, and got a job at a bank. A short while later, after deciding this particular bank wasn't for him and spending a few months as a restaurant server, he jumped into corporate finance and accounting for the next 10 years. While working a full time job, Eric started freelancing as a blogger and slowly building income. He started making small profits at the time, but then he started getting $25 and $35 per article on a regular basis. And then his income grew exponentially, earning $40,000 per year on this side hustle in 2015. So in 2016, with a 6 month old baby and stay-at-home wife, he quit his high paying, stable job in finance to write blog posts from home. This was a huge and scary risk, yes, but it turned out to be the right decision. He went from a part time blogger to a full time blogger. Now, as a freelancer earning a six-figure income, living the lifestyle he had always wanted, he is focusing on building his own brand all while continuing to earn big from my diverse client base. Are you inspired by Eric? Are you inspired to go FIND YOUR ICE CREAM? I know I am! If you’re interested in learning more about Eric’s Personal Profitability Bootcamp, visit https://personalprofitability.com/bootcamp/. 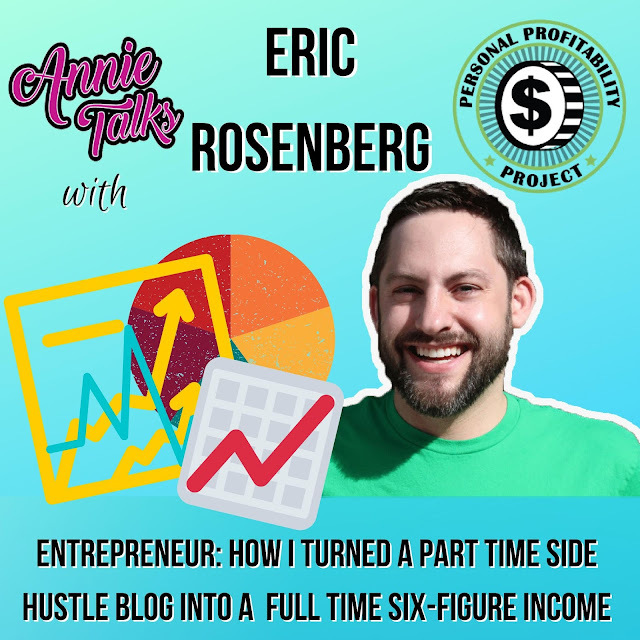 You can also listen to Eric’s Personal Profitability podcast too. I will have his website and social media links down below in the show notes so be sure to check them out. The Chinese Lantern Festival, themed “The Wild,” featured animals and creatures from both land and sea displayed in an array of beautiful, colorful, and vibrant lights. We finally made it out to the Chinese Lantern Festival almost two months after having George Zhao of the Hanart Culture as a guest on my podcast. 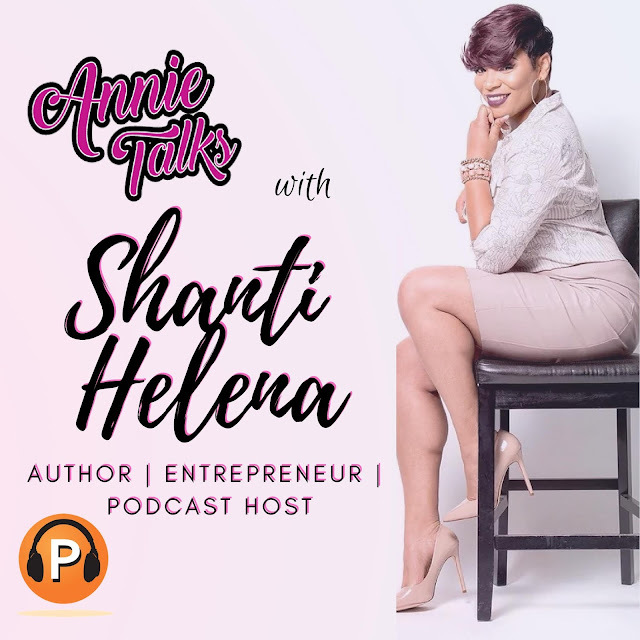 Shanti Helena, who was born and raised in Chicago, IL, is an entrepreneur, author, and podcast host. She authored a self-help and relationship book for women titled “Why Side Chicks Winning?” ( 5 stars on Amazon). She also recently started her own T-shirt line, and is the host of her own podcast show! She embodies the true Boss Babe mentality and is an empowered career woman! The year 2017 was the year that she finally jumped out on faith and found her purpose. Her story is very encouraging. 1. Take down holiday decorations. Taking down decorations helps to jumpstart your motivation and it also helps to declutters your mind. As you remove your holiday decorations, take the time to purge your closet or garage. Donate gently used items to Goodwill or other charitable organizations. Got gift cards? Take advantage of those after-Christmas sales and go shop until you drop…you get the point. 4. Start a new journal. What better way to capture your thoughts, feelings, experiences, and perspectives then to start a journal? Scheduling vacations, mini-trips, or family reunions. Register for workshops, or career seminars, or self-improvement classes. 6. Take up a new hobby. Have you always wanted to learn something new or rekindle something you’re passionate about? Well, what are you waiting for. Go do it! 7. Reconnect with friends or family. Reach out to family or friends you weren’t able to connect with over the holidays. 8. Watch a movie or show series; or read a new book. Time to binge-watch your favorite show or hit the movie theaters. Curl up in bed with a new book and get lost in adventures, romance, drama or comedy. 9. Write and send Thank you cards. A hand-written Thank You note goes a very long way in showing your sincere gratitude. 10. Get back to the gym or restart your health and wellness program. OK, you’ve had a few cheat days or weeks. That’s fine, but now it’s time to get back to your healthy eating habits and workout regimen. 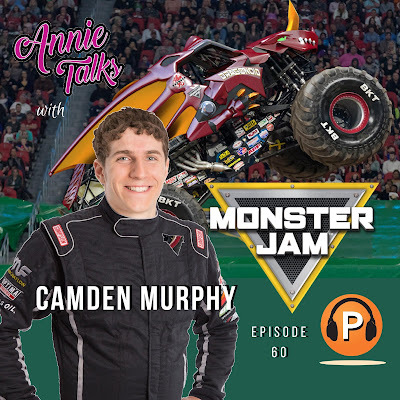 Camden Murphy, 22, hails from Chicago, Ill. and is one of the youngest Monster Jam truck drivers. Camden started racing cars at 10 years old. He became a NASCAR driver in 2014 at the age of 18, and started with Monster Jam in 2017. He was awarded Rookie of the Year in 2017. 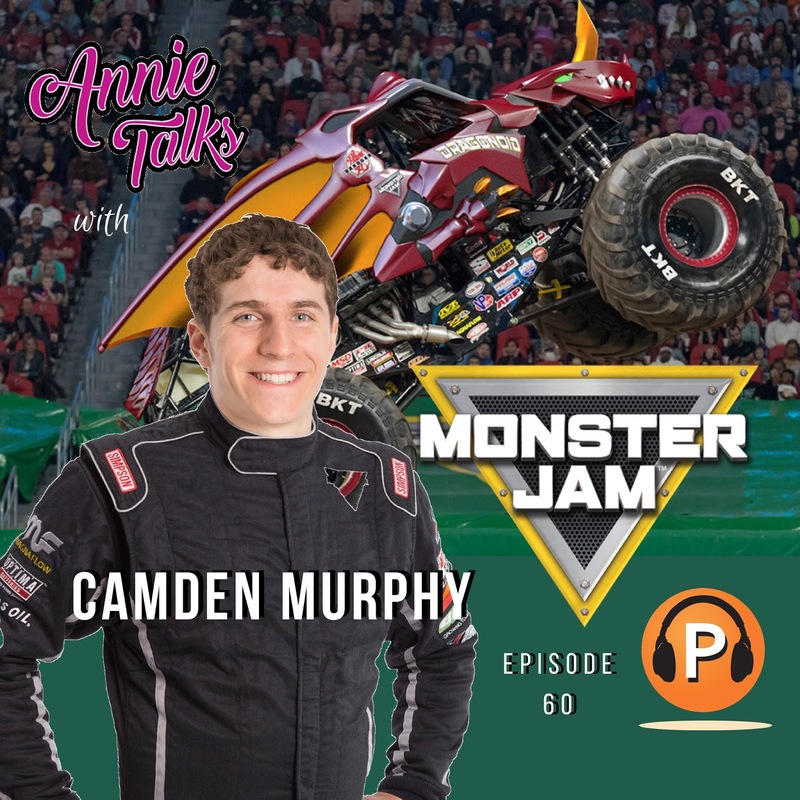 Camden shares that Carl Edwards (NASCAR) and Tom Meents (Monster Jam) were his biggest influencers while growing up. They motivated him to set the goal of becoming a NASCAR driver and then later, a Monster Jam truck driver. Camden was the former driver of the Monster Jam truck Pirate’s Curse, now he drives Bakugan Dragonoid, which will make its debut at the Anaheim Stadium on January 12. You can get an up close and personal look at the Bakugan Dragonoid Monster truck and take photos with Camden Murphy at the Pit Party from 2:30 to 5:30 pm on Saturday, January 12. The event starts at 6:30 pm. Tickets now on sale – all seats are reserved; tickets available for purchase online at Tickets.com or charge by phone at 800-352-0212; tickets will be available for purchase in-person at the Angel Stadium box office.